At the end of February last year I took my place in a lecture theatre with around 30 fellow students for a presentation to be delivered by the Scottish Football Association’s chief executive Stewart Regan. I went into this meeting with an open mind, despite my concerns about the way he was appointed. The presentation was focused on the long-term strategy of the SFA and I am happy to admit that I left the meeting confident that the correct man was in charge of Scottish football. However, this assertion turned out to be ironically similar to the ‘No to Newco’ campaign in the summer - he was all words and no action. 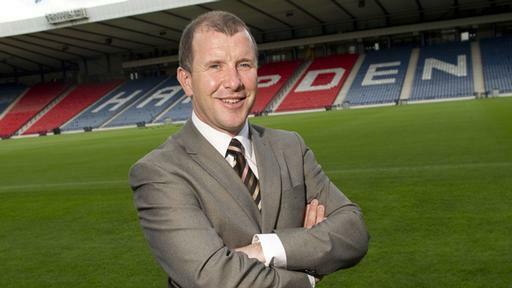 So has Stewart Regan in his role as chief executive managed to deliver these goals? This is quite a difficult goal to measure in terms of Regan’s performance. The main aim here is to ‘double the number of registered players in recreational football’. CRO regular Alan Clark, a man I trust on youth football through his work with Grassroots, recently spoke on Twitter about his admiration for the SFA performance school at Broughton High School, one of seven in Scotland. It does appear as if good work is being done at grassroots level which hopefully will lead to a more prosperous Scottish football. Quality facilities should encourage more youngsters to become involved in football thus helping the SFA reach this goal. Regan took over his role on 28th July 2010. Since then Scotland have played 14 competitive games, managing a very impressive three wins, two of which were single goal wins against the football giants that are Liechtenstein. Currently, the national team are on a run of seven competitive games without a win leaving them 66th in FIFA’s world rankings below countries such as Haiti, Albania, Sierra Leone and Cape Verde. On the day Regan started at the SFA, Scotland were 41st. The feeling amongst the Tartan Army was probably summed up by the fact that 39,365 fans turned up to watch the most recent game against Wales, a damning verdict on the strategic plan to perform and win. Now now, stop sniggering. A report by accountancy firm Begbies Taylor last week found that 1 in 8 clubs in Scotland are in financial distress. As has been documented, Dunfermline entered interim administration last month and Hearts’ financial problems are also well known. The decision, whether correct or not, to place Rangers into SFL3 was always going to hit the Scottish game in the pocket, going completely against the SFA’s plan. However, according to Neil Doncaster the SPL is “booming”. The SPL is so booming that one club has considered keeping a small core of players full-time but everyone else being part-time. That would be probably be the lowest point our game had ever reached should that happen. There is also much debate over the five-year TV deal. Most journalists believe that the deal has clauses that allow Sky and ESPN to negotiate the deal based on viewing figures and value for money. Any sort of reduction to this deal again could be disastrous for clubs. I am in no doubt that the 12-12-18 proposals that are on the table are so that the current SPL will have Rangers’ TV rights under the new SPFL umbrella. Furthermore, there is a distinct possibility that when BDO get into the investigations whilst liquidating the ‘Oldco’ then they may well come knocking at Hampden looking for the prize money that was never given to Rangers and was distributed to the current SPL sides. More recently, the SPL are being sued for £1.7million by Angels in Uddingston, a pub owned by former Celtic player Harry Hood. A similar case resulted in a win for a pub in Portsmouth recently. It’s safe to say that Regan has again failed to deliver. I’ll be honest; I don’t even know where to start here. Simply put, Regan has completely failed to show any leadership over the last year. From imposing a transfer ban on Rangers which was found to be illegal in court to his astonishing silence over one of his member clubs, Dunfermline, being placed in interim administration. In between all of this, he was involved in trying to blackmail Rangers into agreeing to lose titles for a place in SFL1. In a leaked email, he instructed Hibernian chairman Rod Petrie to confidentially brief Charles Green on the plan so that there were no surprises. In addition, the email also showed Regan has stated that Dundee would take the vacant spot in the SPL despite the fact the SPL clubs were due to vote on the matter the next week, presumably so there was a Dundee derby to generate more income. He was again complicit in the infamous ‘five-way agreement’ ensuring Rangers accepted the illegal transfer embargo and bullying the SFL into giving the SPL Rangers’ TV rights. He was lambasted by several SFL chairmen who were appalled by his lack of leadership throughout the summer and he was also accused by chairmen of lying to them in a meeting in the summer. Raith Rovers director Turnbull Hutton stood on the steps of Hampden and stated they were being “lied to, bullied and threatened” by the SFA into accepting Rangers into SFL1. We also had the ridiculous situation when Regan favourited a tweet stating “I’d cheerfully see him hung” about the Rangers captain Lee McCulloch. Is this really acceptable behaviour from the man leading our game? I’m sure fans of all clubs in Scotland would happily point out instances of Regan’s inability to lead, leading to a lack of trust. Overall, it is clear the SFA are striving to improve football at grass roots level. This will inevitably require the correct people working on projects and an appropriate level on funding. However, at the top of our game it is quite astonishing that Mr. Regan still has an office at Hampden. The unbelievable lack of leadership throughout last summer, to his present day silence on matters such as Dunfermline and league reconstruction, has shown that he is completely out of his depth.